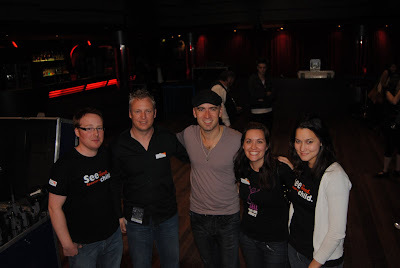 On Monday night I was asked to work at the Ed Kowalczyk concert. For those of you my age and older may remember him as being the old lead singer of the band Live. He is on tour at the moment promoting his own solo album. I think Live was one of those bands that most people know a number of their songs but you don't realise it is them, at least that's how it is with me. I was happy to go along to help out, and I thought I knew a couple of songs, and the main reason we (being World Vision) were there was because Ed is a part of the artists affiliates program, and at all his concerts has been encouraging people to sign up and sponsor a child. 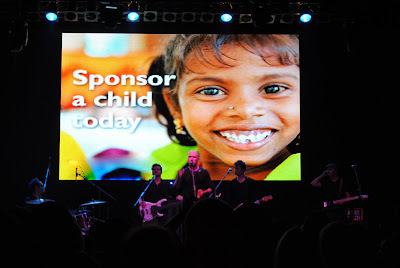 So we were there with sponsor children ready to be sponsored! How amazing is that, a rock star taking time out of his gig to encourage people to care about some of the poorest people on the planet! !